We will Pack in Big Cardboard Box. If Buyer need any special Packing,it will available at extra Coast. Neem Pencil is natural and have good grip to hands. Neem has anti bacterial, antiseptic properties, Neem Pencil is a sheer piece of art, lovingly handcrafted by dedicated artisans of India. Having the essential merits of neem wood, these pencils are very classy and are in vogue with latest writing instruments. 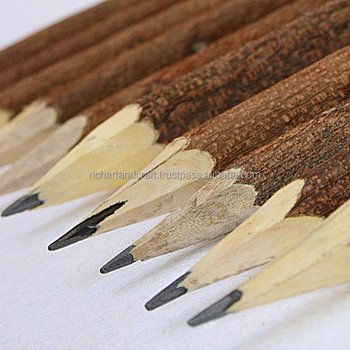 The Neem Pencils are 100% eco friendly, anti-bacterial, These pencils are also popularly known as Herbal Pencils. **Azadirachta indica, also known as Neem, Nimtree, and Indian Lilac is a tree in the mahogany family Meliaceae. It is one of two species in the genus Azadirachta, and is native to India and the Indian subcontinent. Typically growing in tropical and semi-tropical regions. . Its fruits and seeds are the source of neem oil.